See what I did there… a little play on words. No?! Well, I tried. I managed to grab myself a palette from Beauty Bay as soon as they restocked (it’s super hard to secure one of these bad boys in the UK) but sadly it’s unavailable once again – I PROMISE you it’s worth the wait though. It was really hard deciding whether to choose the matte or shimmery orange palette (I could only buy one! ), but the sparkly colours won me over in the end. From shimmering pink tones with orange and purple fluorescent tones to deep sparkly reds, not forgetting the green/brown shades – this palette offers a little something for everyone, which is part of the magic of purchasing a 35 eyeshadow palette from Morphe Brushes. As always, the shadows are highly pigmented and priced at just over £20, which in my eyes is a sure investment. Yes, I might not use every shade within the palette, but I’ll try my hardest to do so gradually! For my first look (left), I decided to blend four colours together – layering some of the lighter and dark orange tones from the right-hand side of the palette. Next time, I’ll make sure to mark up which eyeshadows I’ve used to make it easier for you guys! Although a slightly less obvious choice of colour combinations, I spotted a really beautiful purple fleck in one of the lightest orange tones (second on the left, at the top of the palette). 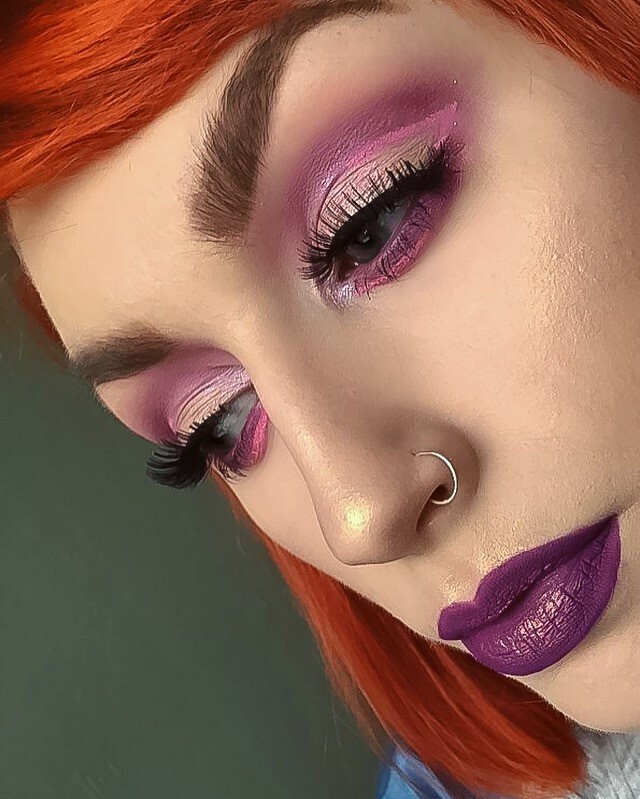 Naturally, I decided this would make a gorgeous lid colour when combined with the vibrant purple shades from the incredible Morphe 35P palette, so I did just that, applying a layer of concealer on to the lashes and pressing this flecked colour on top to complete this ‘intergalactic’ look. When I say intergalactic, I mean a look which is unacceptable to prance around a garden centre surrounded by 60-80 year olds wearing… which is exactly how I spent my morning (wild, I know). Follow my blog for more product reviews, makeup looks and a little style inspiration. These colors look amazing on you! I’ve been debating one of these big ol palettes for a while! Nice!! The palette looks so pretty! And the look your created is absolutely gorgeous! I love it! That palette is so stunning! And the looks you created are gorgeous! *gasps* this is my dream palette. It’s so perfect and looks beautiful on you! I’m gob-smacked! These colours are amazing on you. 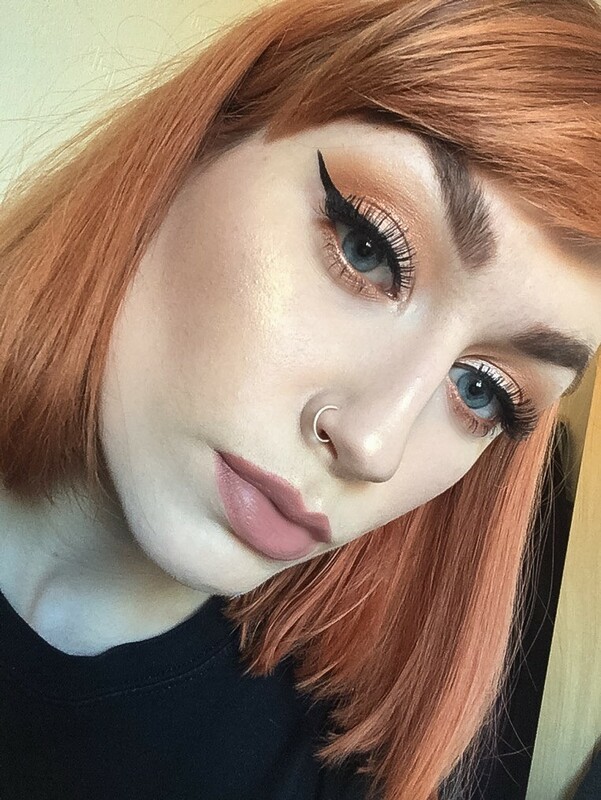 The blending is so good! 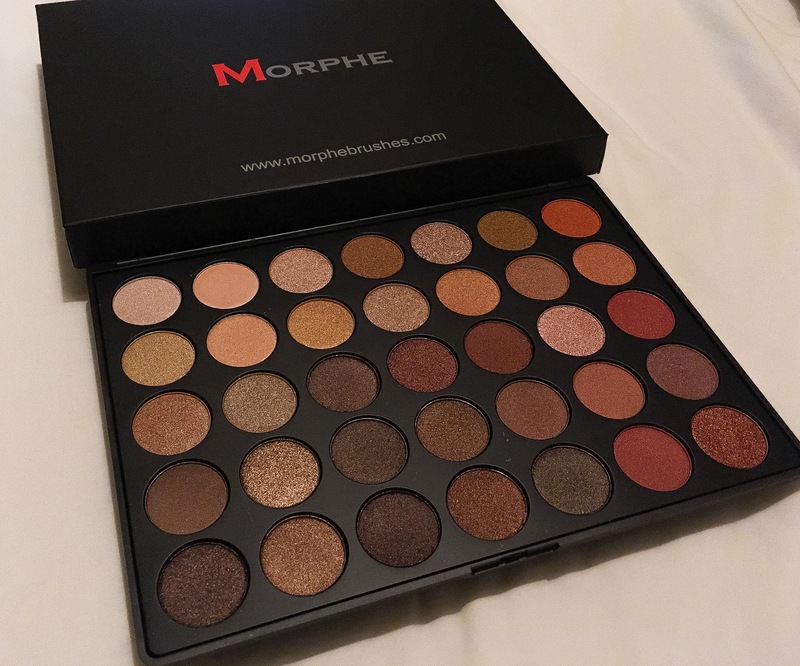 I’ve always wanted to try the Morphe palettes and this just motivated me even more! The second look is my fav! ← First impressions of the Morphe MB4 Angle Blush Contour Brush?